It is probably fair to say from my initial Just Verb It? post, the many articles referenced in that post, the substantial panel of commentary to the post, and additional interest in the topic, that at least two truths about “brandverbing” are beyond much, if any, debate: (1) Lawyers (including the International Trademark Association’s guidelines on proper trademark use) routinely advise brand owners not to use their brands as verbs; and (2) many marketers pursue brandverbs anyway, believing that any legal risks are outweighed by any marketing gains in solidifying the brand as a referent for the entire category. 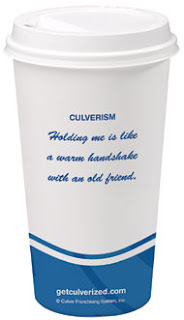 At any rate, Culver’s is not alone in embracing “brandverbs” as the marketers at Microsoft also appear to have convinced their legal team that “verbing” can’t be all bad, at least, with respect to the new Bing search engine brand name, where Microsoft writes to consumers: “We sincerely hope that the next time you need to make an important decision, you’ll Bing and decide.” (My prior post on Bing is, here). So, what do these companies know or at least believe that others on the “straight and narrow” don’t know or at least believe? Stay tuned for Part III of the Just Verb It? series on DuetsBlog, coming soon. 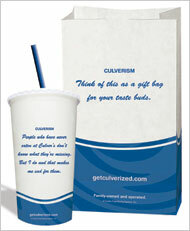 Tags: Bing, Brandverbing, Brandverbs, Culver's, Culverism, Do You Yahoo! ?, Fast Food, Ferris Bueller, Get Culverized, Guidelines on Proper Trademark Use, INTA, International Trademark Association, Microsoft, Steve Baird, Trademark Verbing, Verbable Names, Verbed, Verbing Up, Verbs, Yahoo! Paging Dr. Google, Juris Doctor -- JD, That is? This is an interesting parcel of land in which the legal and marketing team battle it out. While we wear the marketing stripes here at Capsule, we have friends on the other team. So, we’re conflicted on this one. Take Google vs Yahoo (and Bing for that matter). I’m certain Yahoo would love to be referenced as a verb like Google is in a search. You might call it the second place player having “verb” envy. But, I’m certain the Google legal team must be a bit nervous about how often their coveted brand is used as a verb. Wondering (each of them) how long it takes to reach the brand name graveyard. Which of course would help Yahoo. Now to the crux of my conflict. If you’re in second, third, fourth or last place (hello Bing) in your category, then becoming a verb could help you advance your position in the world. But, if you get there first, it doesn’t help and could really hurt. As a marketer, my opinion on the verb issue has to change based on where my client is at the moment. Band aid, Rollerblade, Aspirin and the list goes on. Legal offers legal opinions and their focus is on risk. Marketing is focused on reward. In these cases the rewards out ways the risk in my opinion. Just had a client tell me that he hoped the name I generated turned into a verb…I did not get into a trademark discussion with him as I think his own attorney will straighten him out…if not I know what articles to send him! !